. . Studio Photo Of A Confirmation Boy And A Communion Boy. 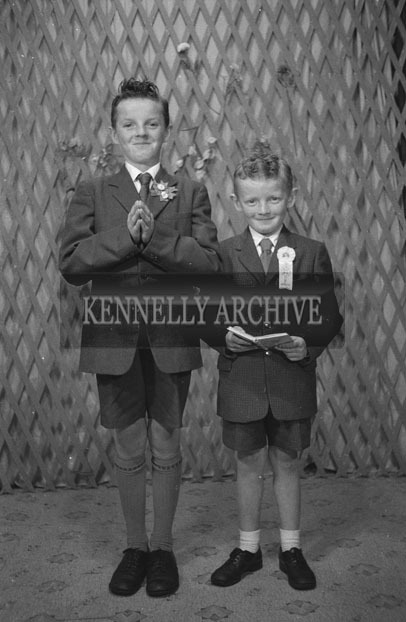 1953; A Studio Photo Of A Confirmation Boy And A Communion Boy Posing For The Camera.